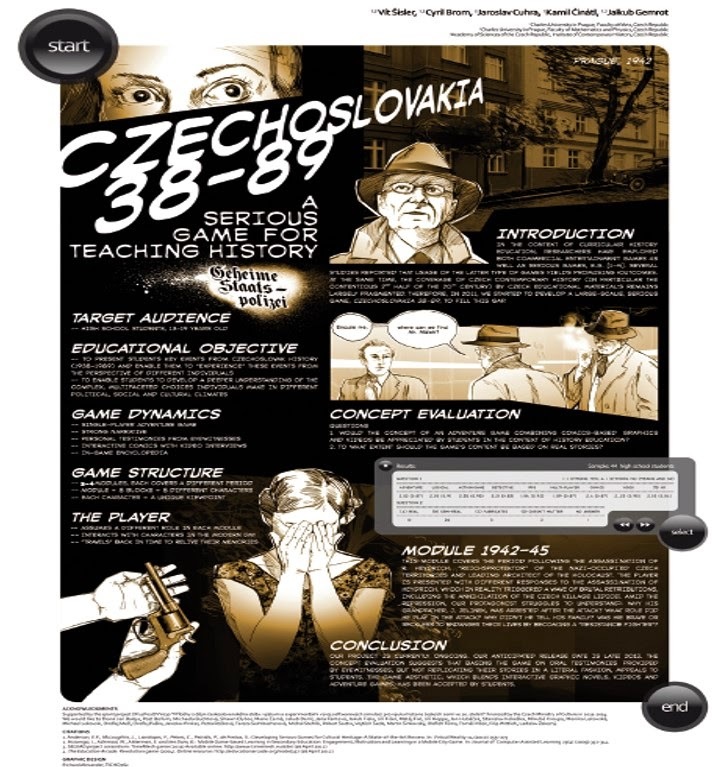 Czechoslovakia 38-89: Assassination will be presented at the upcoming Different Games Conference, the annual student and volunteer-lead conference on diversity and inclusiveness in games, to be held April 3-4, 2015 at the NYU MAGNET Center, Brooklyn, NY. 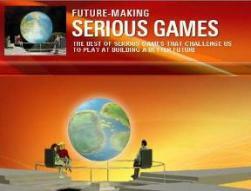 Czechoslovakia 38-89, was a last year’s finalist at the Serious Games Showcase & Challenge in the Government Category. Developed at the Faculty of Arts and the Faculty of Mathematics and Physics of the Charles University in Prague and the Institute of Contemporary History of the Academy of Sciences of the Czech Republic, and financed by the Czech Ministry of Culture, the game has the merit of developing abilities to comprehend and analyze sources of facts and create critical judgments. Within the game, the key moments of Czech history are presented in a playful and most engaging way. 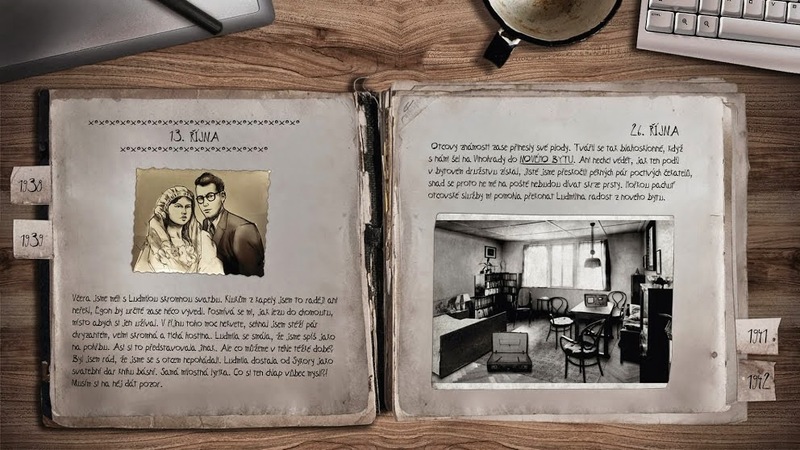 Even though the main theme of the game is represented by the character of a postal clerk, “authentic” memories of eyewitnesses open new self-contained topics, such as common life in the Protectorate of Bohemia and Moravia, the ghettoization of the Jewish population, the Czech Home resistance movement, and collaboration with the occupying power, the holocaust, and many others. 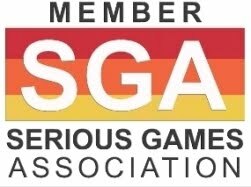 Players can therefore explore those key events from the perspective of diversified historical experiences of various segments of the population. Czechoslovakia 38-89 does only one thing but does it superbly: telling a touching story solely through exploration that makes it well worth experiencing.